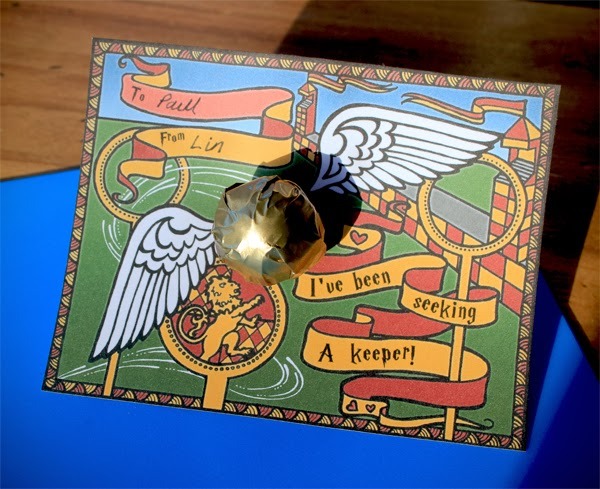 The snitch itself is made from wrapping a lollipop in gold wrapping paper. I didn't think about it until yesterday, but if you want to make non candy valentines then you could easily wrap those little bouncy balls that are sold as party favours, and hold the twisted end in place with tape once it's poked through the card. Those things are about as hard to catch as a snitch anyway! I know I've been posting more printables than crafts lately, but that has been because I'm still recovering from a difficult pregnancy and birth. I do have an actual craft/game being posted some time today or tomorrow, so I'll give you a link to it when that happens. Good news is that in about five weeks I should be discharged from my physio appointments, and able to handle the rest of my recovery myself. I gave my crutches back to the hospital just after Christmas, and things are getting easier every day. 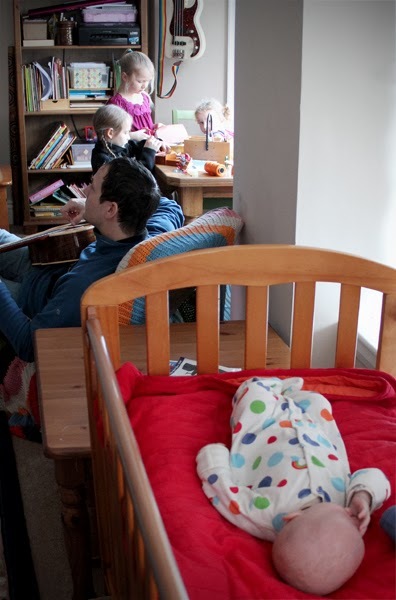 We even had a moment of relative calm in the house yesterday. Everyone was chillin' and doing their thing. I was starting to wonder if that was ever going to be possible! It's so nice to see you posting again, we don't mind what you post! That said, you always seem to post cool stuff anyway ; ) The snitch looks awesome!